The instrumental story of a gang violence survivor, who runs away from his home only to be taken in by true love, shocked listeners when it was first released. Smeele's musical tale of childhood innocence taken away by evil depicts the dark criminal underworld of a small northern town. 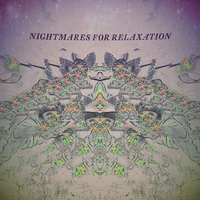 Combining elements of Trip-hop, Glitch hop and Psychedelia, Nightmares For Relaxation created an entirely new kind of sound, scathing in its indictment of a cruel society, and pervaded by an unforgettable sense of threat and mystery.